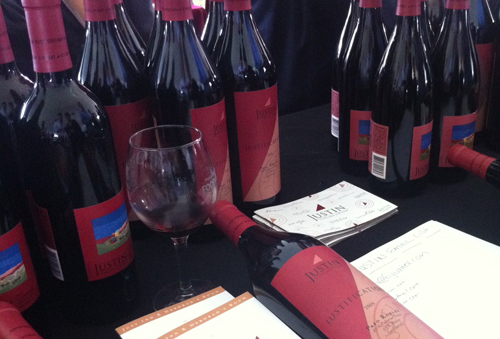 About a month ago I wrote (a bit disappointingly) about the Newport Wine Fest. 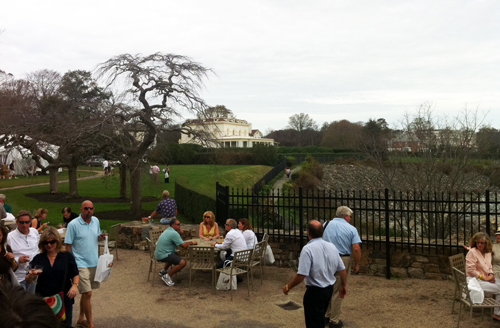 This past weekend I decided to give the Newport wine scene another shot and went to the 6th Annual Newport Mansions Wine and Food Festival. And, I’m quite happy to report that everything Wine Fest wasn’t, Wine and Food Festival was – most importantly, enjoyable. 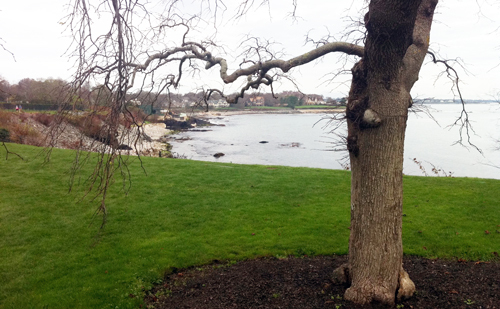 The Newport Wine & Food Festival takes place on the scenic ocean-side cliffs of Newport, Rhode Island on the expansive lawn of one of Newport’s famous mansions, surrounded by opulence and beauty. I went on Sunday, where the mood was mellow, and the hot, sticky air of the last days of summer in New England created a lazy afternoon. But, thanks to a great selection of quality wine, food and a not-to-overcrowded event space, everything seemed to flow rather nicely. I mentioned that everything Wine Fest wasn’t, Wine and Food festival was. This started with the name. One of the things that really got me about the festival earlier this summer was that it advertised “wine,” but really had equal parts food, spirits and “other.” This festival that took place last weekend was labeled as “wine and food” and it was exactly that, equal parts wine and food – good wine and food. Of course, for the ticket price (over $100), one would expect that the wine and food would be good, but this is not always true. So, what were the standouts? Well, for one, the food. There was more than enough quality free food to appeal to everyone including some delicious steak buns from David Burke Prime Steakhouse and some surprisingly tasty treats from a number of Rhode Island caterers (including a freshly shucked oyster bar from Blackstone Catering). In regards to the wine, I think the theme here was quality over quantity. We’re probably talking several dozen (not several hundred) wine tables, but it was more than enough to keep me occupied for the 4-hour afternoon. And for the most part, wineries and distributors weren’t skimping on their selections or pours. It was nice to see wines like Alpha Omega and Caymus Special Selection Napa Cabernet being poured outside of the “Grand Cru” room. For me, though, the true standout tables of the day were Justin Vineyards, LaFollette/Quivira, Caymus, Alain Junguenet’s Wines of France and the one lonely table from Finger Lakes (really, only one NY table at a New England wine event?). Seeing that I went back over for my final taste of the day, I think Justin (from Paso Robles, CA) impressed me most. I really loved their well-balanced, not-too-over-the-top California style wines. Their higher end 2008 Isoceles – a wonderful French-oaked Bordeaux blend, with 78% Cabernet and some beautiful raspberry/currant aromas – was the one that had me coming back. 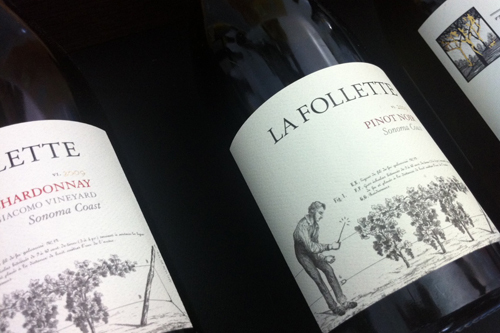 I was also excited about LaFollette’s 2009 Pinot Noir from Sonoma Coast – a terrific under $30 Pinot to look out for. All in, this was a solid event. This is what Newport wine events should be like: relaxed, surrounded by the natural beauty of Newport’s water and mansions and a bit on the higher end. 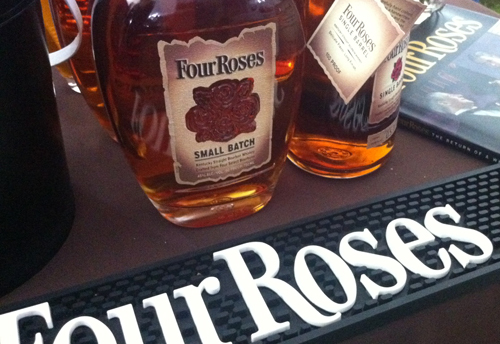 I even got to take a couple whisk(e)y breaks with some of my favorite drams – Highland Park 18 and Four Roses Bourbon. Nicely done. Did you happen to get a chance to stop at our booth – La Molisana Sausage, #114 – to the right of David Burke? We served hot and sweet sopprassata and sweet dried sausage…we’d love to know what you think if you sampled our product!